The Station is situated at 130 East Main Street on the corner of Moffat Avenue. It is across the street from the Tracks & Trails Museum. It was originally built as a gas station circa 1936 by Martin Myers. In 1961 a subsequent owner, Bernard Kuskie, added a service garage to the property. In the early 2000s, the station closed and new owners have since removed the pumps. It is now owned by the Historical Society of Oak Creek & Phippsburg and it is listed on the local Routt County Register of Historic Places. The Station exemplifies the development of auto transportation and related businesses in the county. 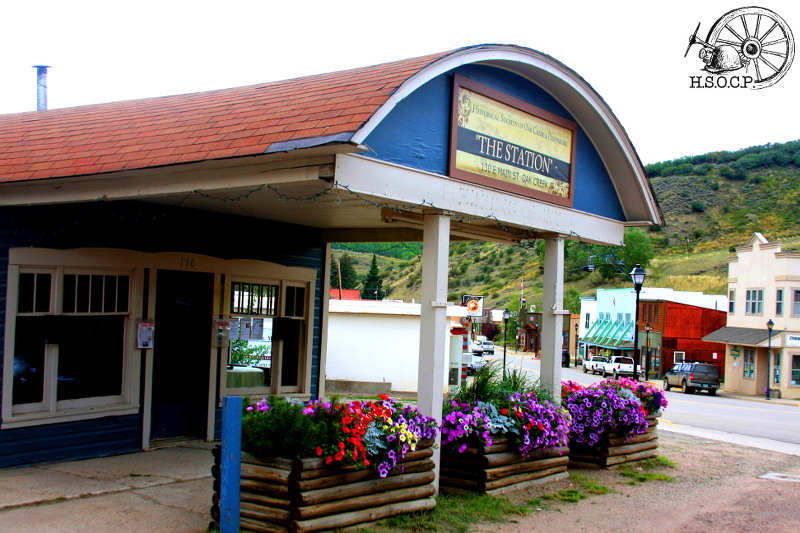 It is one of the few service stations in Routt County that remain virtually unchanged from the time it was built in the late 1930s. Although the gasoline pumps are long gone, the canopy is a typical feature of a service station. Its distinctive curved roof is unique. The simple yet decorative window and door configuration and trim is another distinguishing characteristic of the building. In 2012, a grant was received from the Colorado State Historical Fund, for building assessments then completed in 2013. Currently, plans are being made for phased restoration and museum use of the garage for archive storage – the front for displays and a visitor area. We will continue to provide information on building restoration status through the website, and visitors are encouraged to check back for updates. 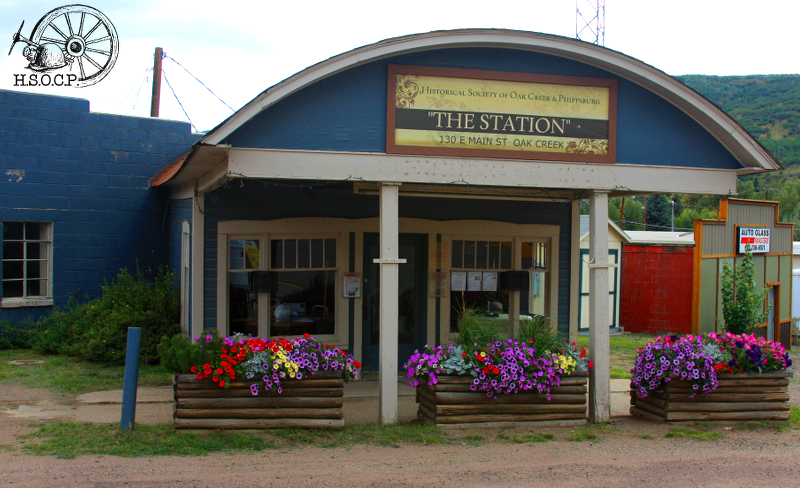 Please feel free to contact the Tracks & Trails Museum for more information about The Station.